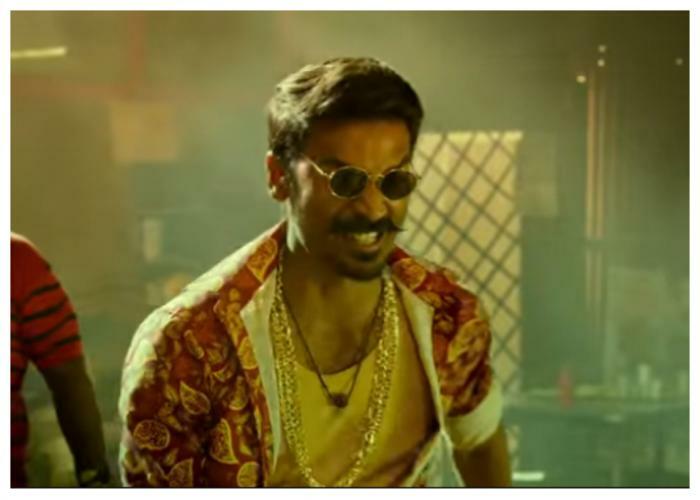 Home » Tamil » News » Maari 2 trailer: Dhanush as the naughtiest DON is back and how! Balaji Mohan’s Maari 2 starring Dhanush is one of the much-awaited films of the year. Balaji Mohan’s Maari 2 starring Dhanush is one of the much-awaited films of the year. After releasing the first poster of the film, the makers of Maari 2 have unveiled the trailer and it promises only entertainment and entertainment. Dhanush is back as the naughtiest and cheerful don. Sai Pallavi, who has replaced Kajal Aggarwal in the sequel is seen as a free-spirited autorickshaw driver. Maari 2 is packed with entertainment, action, humor, romance and everything that looks perfect to watch for. Maari 2 will be locking horns with a slew of films, including Vijay Sethupathy’s Seethakaathi, Jayam Ravi’s Adanga Maaru and Vishnuu Vishal’s Silukkuvar Patti Singam. Well, from the original cast, Kajal Aggarwal has been replaced by Sai Pallavi. Tovino Thomas, Krishna Kulasekaran, Vidya Pradeep and Varalaxmi Sarathkumar are a new addition to the star cast. The film marks the second collaboration between Dhanush and Balaji Mohan. In case you did not know, Dhanush had played the role of a dhoti-clad gangster in the 2015 film ‘Maari’ and impressed everyone with his rustic act. Besides him, ‘Maari’ also featured Kajal Aggarwal in the female lead role. Directed by Balaji Mohan, it was pretty successful at the ticket window.